We recently represented 11 Guatemalan H-2B forestry workers who raked and baled pine straw near Moultrie, GA for Atlanta area businessman Matthew Lowe and his company Swift Straw II LLC, a “full service vertically integrated pine straw company” operating across the Southeast. The workers retained us to vindicate their rights for violations of federal laws that protect agricultural workers, including minimum wage violations and poor housing conditions. We prepared a federal lawsuit on behalf of the workers, but eventually reached a pre-litigation settlement with Mr. Lowe and his company, recovering more than $21,000 in unpaid wages and other damages. Recientemente representamos a 11 guatemaltecos que vinieron a EE.UU. con visa H -2B como trabajadores forestales que trabajaron en pino cerca de Moultrie, GA para Matthew Lowe, un empresario de Atlanta, y su compañía Swift Straw II, LLC, que opera en todo el sureste. Los trabajadores contrataron a Servicios Legales para vindicar sus derechos por violaciones de las leyes federales que protegen a los trabajadores agrícolas, incluso violaciones de salario mínimo y las malas condiciones de vivienda. Preparamos una demanda federal en nombre de los trabajadores, pero al final llegamos a un acuerdo antes de ir a la corte con el Sr. Lowe y su compañía, recuperando más de $21.000 por salarios no pagados y otros daños. On June 23, a Southern District of Georgia Federal Court judge approved the consent order drawn up between farm worker Plaintiffs and Defendant Stanley Farms. In addition to the $92,500 the Farm agreed to pay in backwages to workers and litigation fees, there are provisions for important non-monetary changes that we hope to see have a broader effect for workers. 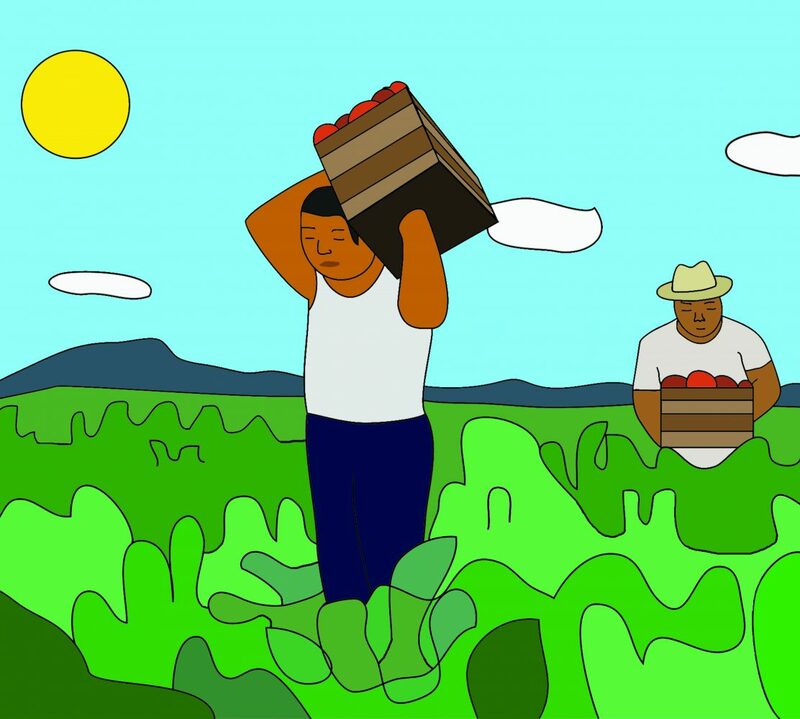 Two recent Farmworker Rights Division cases were featured in the New York Times and NPR’s The Takeaway on Tuesday, May 6. These cases have attracted attention because they challenge agricultural industry claims that there are no Americans left in agriculture and that legal protections for U.S. workers can be eliminated. Click here to read the New York Times story. Click here to listen to the NPR report from The Takeaway.